To connect Timesheet Mobile to your Xero account, click "Integration" in the left hand menu column and connect to your Xero account. Once connected, you can import your Employees, Jobs and Pay Items. Next, assign Xero Pay Items in Employee Details. 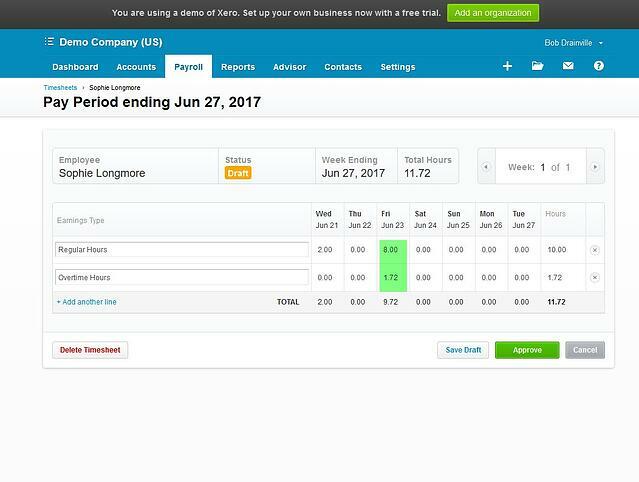 Approve Employee Timesheets in Timesheet Mobile for the Xero pay period. Be sure that date range matches the Xero pay period. 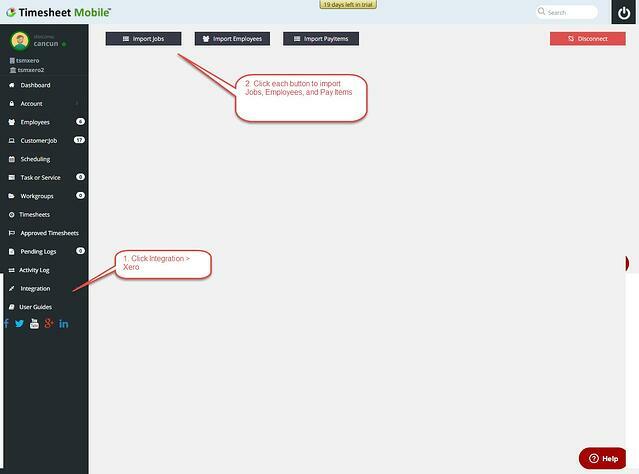 After approving timesheets, they can be found in the "Approved Timesheets" tab. 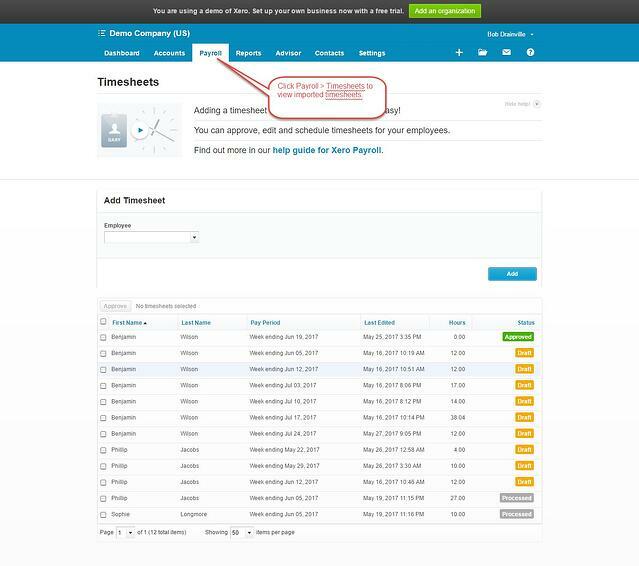 Search for approved timesheets by setting the date range. 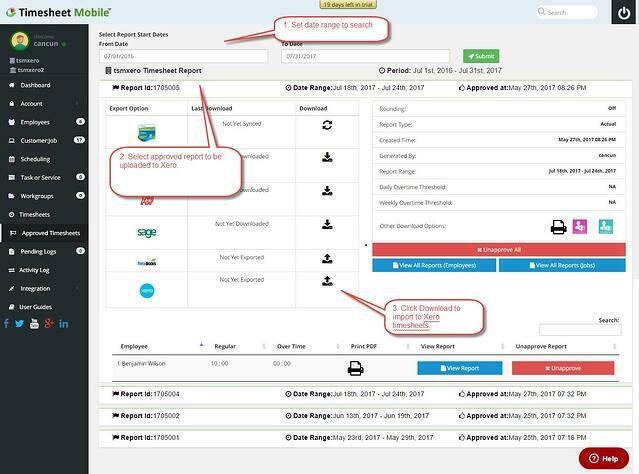 Here, you'll find timesheets imported from Timesheet Mobile to Xero. Regular and Overtime hours will be broken out according to the Pay Items assigned to the employees. The OT thresholds can be adjusted in "Settings" under the "Account" tab.